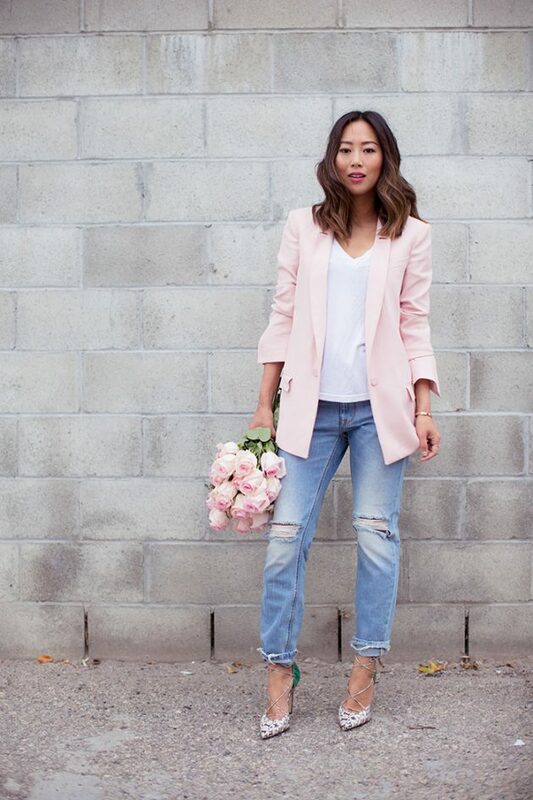 Blazers are the must-have fashion staple for every woman’s wardrobe. They can be found in versatile styles and colors which means that you can never have enough of them. So, if you are about to buy a new one and don’t really know what style to choose, then maybe you will love to follow our advice and get a boyfriend one. A boyfriend blazer is one of the trendiest fashion pieces right now, so today we are bringing to you a collection of versatile outfit ideas to show you how you can style this type of blazer. A boyfriend blazer is an oversized blazer, being cut slightly larger than a traditional women’s blazer. It can be found in versatile colors and styles, so you will for sure find one that you will love to wear. Boyfriend blazers can be part of your casual outfits, your street style looks, your office attire and even part of your combos for a night out. It will look great with some fitted clothes, whether some such dress or maybe with some fitted top and skinny pants. 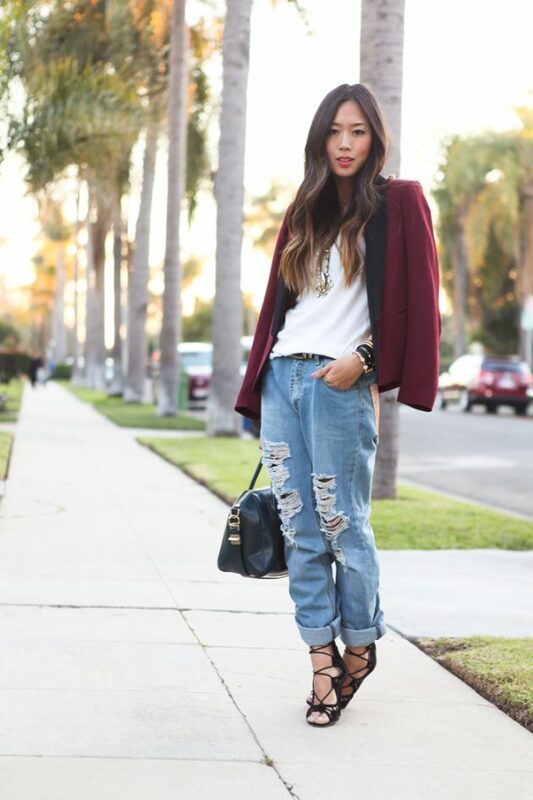 Or if you prefer to go bold with the boyfriend style, you can even style your boyfriend blazer with some boyfriend jeans. Scroll down now to see the outfits that we have chosen for you today and choose which one do you like the best. Enjoy! When it comes to the color choice, boyfriend blazers can be found in all colors possible, so you may find yourself in doubt about what color to choose. Well, the choice will mainly depend on your taste, but you can never be wrong with a black or navy blazer. Also, since pastel colors are the the trendiest ones for the season, you can choose some pastel colored blazer. Or if you wish to stand out from the crowd you can get yourself some printed boyfriend blazer or one in some vibrant color, for instance a hot pink one. So, what to do you think about the above outfit ideas? Which one is your favorite? Tell us in the comments and of course don’t forget to stay up to date with the content of Fashionsy to find many other outfit ideas for your style inspiration.